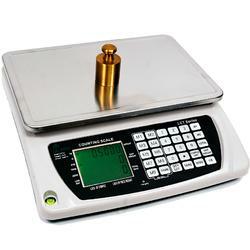 The Tree LCT Series Large Counting Scales. Has a 9" x 13.25" Platter, LCD Display and backlight. AC Adapter, 30 Keys and rechargeable battery included. It even has 9 memory settings. 1"4 x 13.5" x 4.5"